John Le Carre, born in 1931 and still lives in England, became well known with his spy novel, ‘The Spy Who Came in from the Cold’ published in 1963. This novel and another eight spy novels published until the mid-1980’s focused on the struggles between the British Spy network and their counterparts behind the ‘Iron Curtain’. Mr. Carre certainly could write convincing stories in this arena since he was himself an English Spy until the early 1960’s. The main character in these novels was a middle-aged spy who was a thinking man, not really a man of action, however, Mr. Le Carre was very adapt in creating intense suspense. Several of the spy novels of this period were adapted for film and TV. As the international situation changed in Europe, Mr., Le Carre changed his focus on his spy novels. 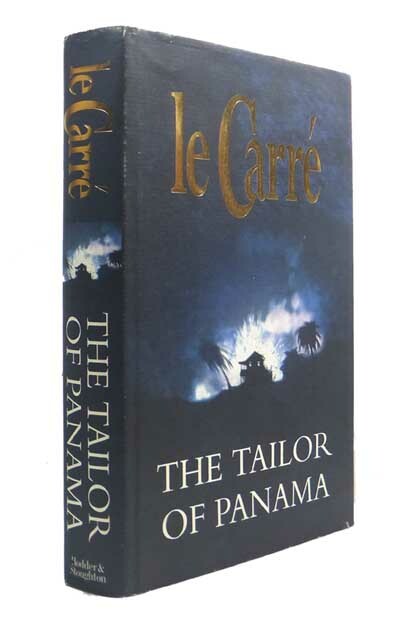 The mischief in Panama was described effectively in ‘The Tailor of Panama’ and the book; ‘The Constant Gardener’ took place in Africa where the villain was international drug firms. Both of these books were adapted into movies. The villains in Le Carre’s more recent books, “A Most Wanted Man’ published in 2008 and ‘Our Kind of Traitor’ published in 2010 include Russians, who now are effectively wealthy gangsters. The former focuses on a Chechen terrorist, where the latter deals with a very wealthy Russian gangster who wants to ‘come over to the other side’. This latter book, published 49 years after his first book, is considered by Michiko Kakutani, reviewer for the New York Times as a ‘Bullet train of new thriller, part vintage John Le Carre and part Alfred Hitchcock’. The spy novels written by Alan Furst are ‘historical spy novels’ because they all take place in the years, 1933-1944, i.e., before and during World War II, mostly in Europe. Born in New York City in 1941 and now lives in Sag Harbor, Long Island, Alan lived many years in Europe, primarily in Paris, a location that almost always played an important role in his spy novels. Alan Furst has written 11 historical spy novels since 1988 and all have had considerable success. 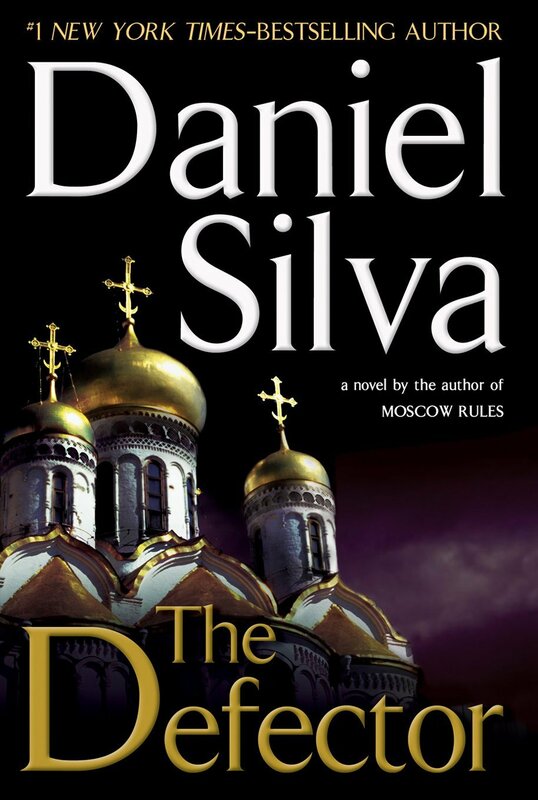 Cheuse in his review of the latest novel by Daniel Silva. As one starts reading Alan Furst’s fast paced spy novels, one quickly realizes that the author has done considerable research on the locations and historical events in the areas where the stories takes place. The stories are about various ‘heroes’ fighting the Nazi’s or the Italian Fascists. The locales include Warsaw, Istanbul, Paris and numerous smaller cities in Europe. The actual ‘fighting’ is limited in violence, but much more providing knowledge, supplies and means of escape to those who oppose the oppressive regimes. Often the stories involve senior personnel in the various governments and Mr. Furst provides the reader with significant historical details of the time and setting to make the reader feels he is really there. A Mr. Hurst has stated, “I want them (readers) to read as if they had been written then. I think of them as ‘40’s novels, written in the conservative narrative past”. One of Alan Furst’s fans, Patrick Anderson of the Washington Post describes him today as’ one of the finest spy novelists active’. “Spies of the Balkans”, published in 2010, takes place in Greece and the hero is a young Greek policeman with many political connections. He is able to arrange for Jews to escape from Germany and France using his connections in France and Yugoslavia. There are also several female liaisons with our hero as well as the pending invasion of Germany into Greece to keep the reader constantly surprised as the pages unfold. Daniel Silva was born in 1960 in Michigan and now lives with his family in Washington DC. As was the case with Alan Furst, Dan was also a journalist before he became a full-time writer. As a journalist, Dan Silva spent time in the Middle East as a Middle East correspondent for UPI and lived in Cairo Egypt. As evident from his novels, Daniel has spent significant time in Israel as well as Europe. 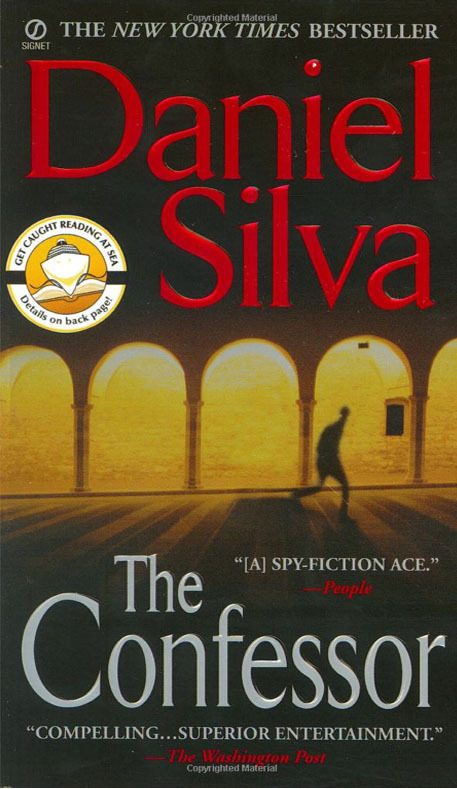 Daniel Silva’s first novel was published in 1997, called ‘The Unlikely Spy’ and it became an ‘instant New York Times best seller’. All of Mr. Silva’s eight subsequent spy novels have become best sellers on the NY Times list. ‘The Unlikely Spy’ drew my interest back in the late 1990’s, having had long interest in WWII, the setting for this book. The particular uniqueness of the main character in this book was that the spy is a female German Nazi spy who landed in England seeking the answer to where the allies planned to invade the continent in 1944. A very fast –moving, story with many twists and surprises and yet, plausible. After two spy novels with American CIA officer, Michael Osborne, the hero, Daniel Silva has written 11 novels with the Israeli spy/assassin Gabriel Allan as the hero. These spy novels take place in the present in several venues in Europe and the Middle East. As one begins to read some of Daniel Silva’s novels, one quickly realizes the depth of his research in order to make the stories plausible. Mr. Silva spends essentially a year researching the subject of the forthcoming novel. ‘The Confessor” focused on the inner, corrupt circle including old ‘Nazis’ within the Vatican and threats to the Pope is overcome by heroics of Gabriel Allon. In “The Messenger”, Gabriel Allon saves the Pope from the Saudi Muslim fundamentalists. 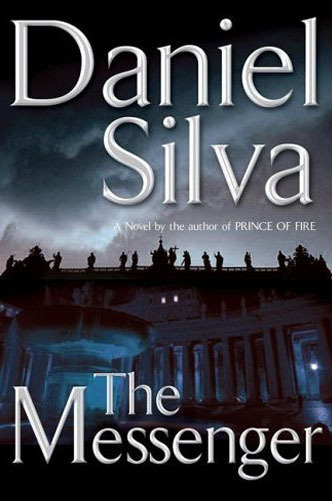 In both of these novels, it is clear that Daniel Silva had gained a significant knowledge of the operations within the Vatican. 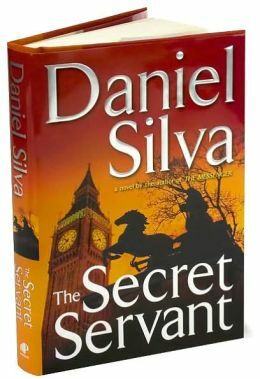 Muslim fundamentalists and the broader Islam radical fundamentalists play important roles in “The Secret Servant”. Mr. Silva has studied these groups in depth and provided very plausible and very fast-moving, exciting action and hero, Gabriel Allon winding up in the winner column. Two recent books by Mr. Silva, ‘Moscow Rules’ and “The Defector” examines the corruption, power and range ofthe modern Russian oligarchs in Europe and the challenge and close calls of the perennial hero, Gabriel Allon. Finally, ‘The Rembrandt Affair “released in 2010 focuses on the art world, corrupt Swiss bankers and their connections back to Nazi wealth. 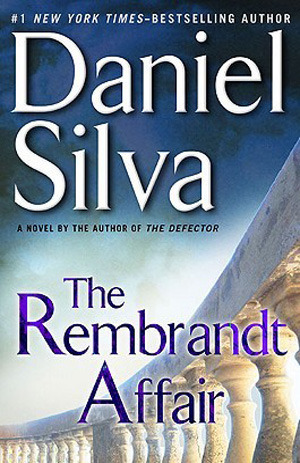 Actually, art often plays a role in Dan Silva’s books since the hero, Gabriel is also an art restorer, a profession he thoroughly loves until he is asked to come back into the Israeli Spy Network solving international crimes. 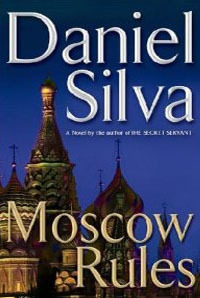 Hence, in Mr. Silva’s stories, not only do we journey to Moscow, London, Paris, but also Jerusalem and inside the Israeli secret service, but also the CIA and the British secret Service and as a break, venture into the world of fine art and restoration. The window provided seem realistic and keeps the reader engrossed as the plot keeps evolving and the final resolution is often not realized surprisingly on the last page.